Do You Know The Tone Of Your E-mail? This one intrigues me. We know that it’s much easier to convey emotions face-to-face…BUT we continue to evolve to more electronic communications and less face-to-face interactions. So, does that lead to more mis-understandings. I’m sure it does. One study says e-mails are mis-understood 50% of the time. Haven’t you ever read an e-mail several times trying to figure out what the writer was trying to say and making certain assumptions. We all read into messages. The application is ToneCheck which integrates right into Outlook. I haven’t tried it yet, but I’m intrigued by the demo. This new study says that just holding an alcoholic beverage makes you seems stupid. While I would agree that if your Facebook picture or blog picture was you with an alcholic beverage, I might think twice, but I’m not sure I would have the same impression of a person at a reception with a glass of wine. But, it made me think about how important it is to think about images as aligning with messaging and branding. This is important in direct mail and e-mail and on the Internet. Being in the communication business, we often bring in mis-aligned marketing pieces to share with each other. 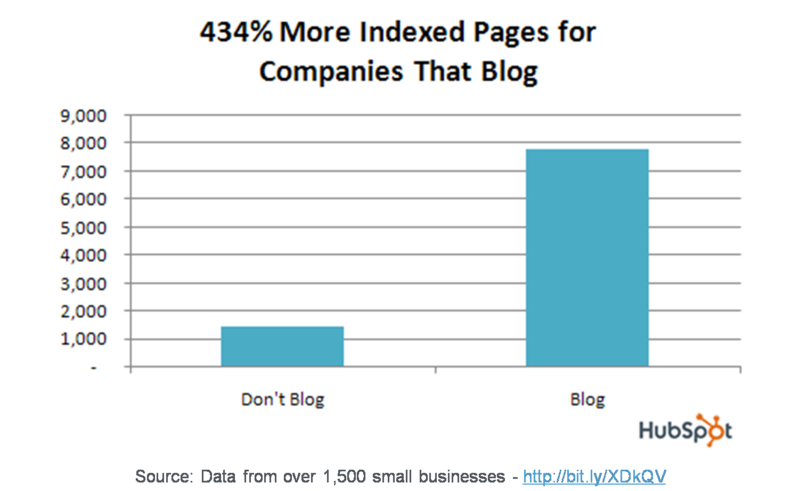 (Maybe there needs to be a bad marketing blog like the bad pitch blog.) I remember one from a few months ago which was a happy birthday postcard to someone on turning 40 and encouraging them to take some action. The image on the postcard was of a 70+ year old woman. It really made the woman turning 40 feel like it was older than it is. In another case, I think about when I was an architect. We were designing a boardroom for a big Fortune 100 company. When we were creating a rendering for presentation, I was told that the CEO didn’t like to see women in the pictures (probably wouldn’t happen these days) so we could only add images of men in business suits to the pictures. Interesting video for you to watch. Do you brush your teeth more before you go to the dentist? Are you more likely to take your medications the week before you go back for your physician visit? You get the picture. I like the term here that our Chief Medical Officer used – “white coat adherence”. 3. They believe you but they assume the medication isn’t working and change your medication. These are minimally issues for the healthcare system – wasted costs – but there is also the potential for giving you an unnecessarily high dose or changing you to a riskier medication since the default one didn’t work. 3. Helping patients stay adherent and understand the impact of their medication (and lifestyle decisions) on their health. Per my prior two posts on this, Drug Benefit News (DBN) published an article today on this topic. Renee talked with me along with several other people to get a perspective on the topic. “Auto-refill for prescriptions is all the focus lately,” says George Van Antwerp, General Manager of Pharmacy at Silverlink Communications. “Everyone from the big PBMs to the local pharmacies are encouraging this.” This is because auto-refill programs address one of the common patient-reported issues with adherence — forgetfulness — allowing insurers to “minimize gaps in care.” Auto-renewals, on the other hand, are not considered common practice and many payers are hesitant to implement the service. Van Antwerp contends that auto-reminders aren’t enough. “Everyone does auto-reminder programs,” he says. “In my mind, that’s the minimum that a pharmacy or PBM should do.”In addition, he argues, “anything can lead to accumulation if the patient is not using their medication and refilling their drug on a regular basis.” However, “how many patients do that?” he asks. “Drugs cost money.” While it could drive up more prescriptions, “no one’s going to pay for — and/or pick up — scripts they don’t need,” he maintains. CVS Caremark Corp. claims its “Ready-Fill” program is “a convenience our members love,” according to Bari Harlam, the PBM’s senior vice president of marketing. The program includes auto-refills and auto-renewals. “There are a lot of people that have trouble being adherent, and this is a service that we offer to our consumers that helps do the work for them,” she tells DBN. CVS Caremark members enrolled in the program receive notifications about their refill a few days before it’s shipped, and have the option of cancelling the refill. The PBM also calls its members’ physicians to request additional refills. “The physicians’ offices view this as part of the normal workflow, and retail and mail pharmacies are always reaching out to them for particular medications,” Harlam says. The study came out yesterday. I pulled the data from the executive summary into a powerpoint for all you visual people like me. Some interesting statistics on the value of pharmacy satisfaction and retention. Maybe this will create the business case for more tracking and focus on impacting satisfaction in pharmacy. I think we’ve seen that over the past few years for managed care with individual insurance. Before you peek, who (pharmacy type) do you think gets the highest average ranking in satisfaction? This topic continues to get more attention. 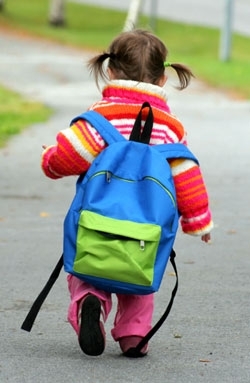 Don’t leave your old medications around for your kids to use. Don’t flush them down the toilet and into our water supply. Turn them in for safe disposal. WASHINGTON, D.C. – The Drug Enforcement Administration and government, community, public health and law enforcement partners today announced a nationwide prescription drug “Take-Back” initiative that seeks to prevent increased pill abuse and theft. 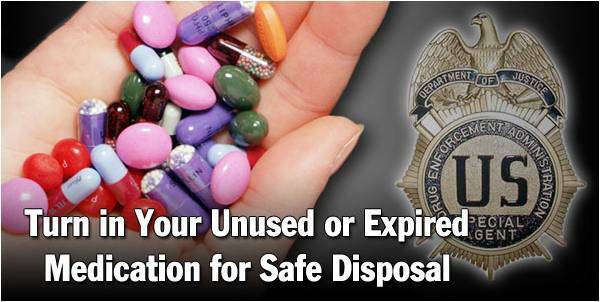 DEA will be collecting potentially dangerous expired, unused, and unwanted prescription drugs for destruction at sites nationwide on Saturday, September 25th from 10 a.m. to 2 p.m. local time. The service is free and anonymous, no questions asked. A few years ago, there was a lot of worry about a pharmacist shortage. Everything I’ve seen recently seems to say that the pharmacist shortage has been avoided even with increased prescriptions being filled per year. I believe some of that is associated with more schools. Some of it is associated with technology enhancements. But, will the same happen with MDs…I doubt that it’s that simple. If we look at the most trusted professions, pharmacists are usually in the top 5-10 with nurses and physicians. Combine that with the fact that that medications are the first line strategy for treatment about 90% of the time, and I have to ask why there isn’t more dialogue about leveraging the pharmacist to address the PCP shortage. It’s obviously not apples-to-apples, but there seems to be a way to leverage the trend for clinics with NP or PAs and pharmacists into a solution to address the PCP shortage. Here is a chart from Barclays Capital based on their analysis and IMS Health data on prescriptions filled by channel last year. A few weeks ago, I posted my thoughts on the auto-refill solution that various pharmacies are implementing. After talking with a reporter about the topic, I posted it in a discussion group to get some additional thoughts. As a proponent of the solution, I was surprised by a few of the comments and questions which were more skeptical. With that in mind, I thought I would post some clarifications to the issues raised in the discussion group. Is the auto-refill solution the same for retail, mail, and specialty? Generally, it is retail pharmacies and mail order pharmacies that are implementing this type of program for maintenance drugs. You wouldn’t want to implement this on controlled substances (even if it was legal). You wouldn’t want to implement it for drugs where patients frequently change strengths (i.e., titrate). You wouldn’t want to implement it when a patient was new to therapy in case of side effects or other issues. Once they are stabilized on a maintenance medication, this makes a lot of sense. Is auto-refill a solution for adherence? Aren’t there many other issues? People are non-adherent for numerous reasons. The most common reason in many studies is “I forgot”, but there are significant issues around health literacy. There are also cost barriers, side effects, and belief or cultural issues. Obviously, auto-refill won’t address all of those issues, but it can help with the people who say they forget to refill. It can also help minimize the gaps in care which exist (i.e., I run out of pills a few days before I pick up or receive my new prescription). Does auto-refill lead to accumulation of drug supply? This concern can be addressed in two ways: (a) setting the auto-refill trigger to be after 85-90% of the days supply last dispensed should have been used AND (b) reaching out to the consumer to see if they are ready for their next fill. Isn’t the best strategy for adherence to use “live” agents? Of course, we’d all love the luxury of talking to every patient at length around their therapy (imagine a world where commercial MTM was economically sustainable). This would be ideal, but in general, this “live” interaction is best for the initial diagnosis and new start of a script. Plenty of studies have shown that automated calling technology compares very favorably to nurses, agents, and other professionals in driving consumer behavior (at a much lower cost). Speech recognition technology creates a conversational tone with the consumer and can employ best practices such as personalization, motivational interviewing, behavioral sciences, and linguistics in a systemic way. At Silverlink, our studies have shown significant lift in improving refill rates and closing gaps-in-care around adherence through the use of automated calls. This is exactly what I advocate. It’s much like the “choice architecture” that Express Scripts talks about in their Consumerology positioning around mail order. You’re more likely to get someone to refill a medication (typically appropriately) when asking them to opt-out of the refill than asking them to opt-in to the refill. And, neither I (or anyone I know) would advocate having a patient enroll in an auto-refill program and simply keep getting their medication shipped to them to simply drive up revenues and false adherence metrics. What about health literacy and education? This came up several times. An understanding of their disease, why the medication is important, what the medication will do, and other issues are critical for a patient to be engaged and “own” their condition. This is a systemic issue that begins with the lack of time for discourse at the physician’s office and runs throughout the entire process. We have to address these things. The more you can personalize adherence communications to reflect personal barriers and proactively address them during the interaction with the patient the better. Some of that can automated, but yes, some it has to be “escalated” to a “live” interaction. At the retail pharmacy, doesn’t this increase returns to stock? Patient X fills their 4th fill of a maintenance drug on 3/17. Patient X receives an offer to enroll in the auto-refill program. You can see more dialog on this at The Pharmacy Chick blog or in this article from last year. Adherence is a huge issue. We need to try lots of things to address it. People forget more than they are likely to admit. Auto-refill (renewal) isn’t for everyone but is a nice service when implemented right. It will drive up more Rxs but no one’s going to pay for (and/or pick up) scripts they don’t need. Obviously, the best way to get rid of fat is diet and exercise. Eat less calories; burn more calories. But, in our instant gratification world, is that enough? Certainly not for people who have the money to try other solutions. Look at the weight loss business…it’s estimated to be about a $60B a year business. We’ve all seen the obesity statistics and trends. It’s a huge issue (no pun intended). And, it has a presents a significant burden on our healthcare system today and is a looming issue that will drive future costs. Are there other options? Yesterday’s WSJ identified two new treatments that cleared by the FDA for “body contouring”. I saw it being discussed on the news this morning, and I’m sure that the companies (and physicians that administer the treatments) are suddenly much busier. Zeltiq is a company I read about a few months ago. They grab your fat and freeze the fat cells causing them to self-destruct. You may have some mild bruising or redness for several days. They say it takes 3-4 months to see results. Zerona is a laser based treatment that forces the fat cells to empty. It takes a few treatments a week for a few weeks with relatively quick results. Their trial study had people losing over 3 inches more than a control group in their waist, hips, and thighs (combined). These treatments aren’t cheap. Think $1,500 to $3,000 for an area. Obviously, that should allow for some good profit especially as the fixed cost of the machines are paid for with increased volume of consumer usage. One question I’ve had is what happens if you do this, but you don’t change your lifestyle. If you eliminate the fat cells around your waist and keep eating crap, will you be more likely to get fat in other areas of your body? The other big question I have is whether simply eliminating fat cells is healthy for you. As you’re weight goes down, will that make you more active? Will it reduce your appetite or desire for fatty foods? Will it decrease your cholesterol level? Or, once you’ve spent the money, will you feel a greater commitment to keep your body in shape so the body contouring wasn’t a waste of money? Obviously, this is a big area for pharmaceutical manufacturers searching for a weight loss pill and device manufacturers who keep trying to find new devices that are cheaper and more effective. I expect this to be a hot area in years to come. From the article, it says that the devices only target subcutaneous fat (the kind under the skin) versus the visceral fat (the kind around your organs that releases fat into the blood stream). So, it’s a cosmetic improvement not necessarily a health improvement. Of course, don’t get too excited…generally theses are for people with mild extra weight not for obese people. I guess the final question I would have is what would these companies have to do or prove to make these covered under your health benefits…better health outcomes correlated with body contouring. Possible? Medication and health management strategies are integral parts of patient care, but if those who need medical help can’t understand their instructions perfectly, the right procedures are lost on them. Health literacy is a growing concern, and it refers to one’s ability to read, process, and implement directions related to personal health care. Both the context of health-related communication and the skill level of health care providers are strong factors in health literacy, but it ultimately describes the comprehension abilities of someone on the receiving end of health care. In a study conducted by Dr. David Baker, MPH, and a team of researchers, it was found that inadequate health literacy contributes significantly to mortality rates among the elderly. Baker and his team administered a shortened version of the Test of Functional Health Literacy in Adults to a pre-screened cohort of 3,260 Medicare managed-care enrollees. They then collected their data and categorized it into three sections: adequate, marginal, and inadequate health literacy. These results were then compared to all-cause and cause-specific mortality data from the National Death Index, 1997-2003. Although the category of elderly patients with adequate health literacy accounted for the majority of the cohort at 2,094 individuals, their mortality rate averaged only 18.9%. The group with marginal health literacy, which included 366 individuals, averaged a mortality rate of 28.7%, and the group with inadequate health literacy at 800 had a 39.4% mortality rate. Baker and his team found that the number of years of school completed by the subjects was barely associated with mortality, leaving reading and comprehension abilities as the main indicators in determining health literacy. A general lack of health-related knowledge, the ability to apply it, and wide variety of other “pathways” characterized those individuals with inadequate health literacy. According to health.gov, a page dedicated to the activities of the U.S. Department of Health and Human Services and other Federal departments and agencies, there are many ways to develop and deliver health information while maintaining awareness of health literacy. For example, information should be appropriate for the user audience and easy to use. It’s also important to speak clearly and listen carefully when communicating health-related information. The following are some strategies that may help pharmacists, doctors, and other health care professionals communicate information clearly to non-professionals and patients. Be sure to identify a specific audience before you draft any health-related communication. Consider demographics, behavior, age, culture, communication capacities, and attitude, choosing materials and messages that address your audience’s characteristics. Evaluate your communication by conducting usability testing. Test users before and after your information is delivered to see how much of it they can understand and repeat back to you. Limit the number of messages you communicate at one time and use plain language that focuses on action. You can include pictures to help demonstrate important steps. Improve the usability of information online. Make sure that patients know how to access the details of what you’re explaining by going to a specific webpage. Be sure to use large font and uniform navigation to prevent confusion. Ask open-ended questions and ask that your patients repeat the information back to you. You can also request that they act out a medication regimen in front of you before they have to do it on their own. Baker, David W. et al. “Health Literacy and Mortality Among Elderly Persons.” Archives of Internal Medicine 167.14 (2007): 1503-1509. Guest Blogger: Alexis Bonari is a freelance writer and blog junkie. She is currently a resident blogger at First in Education, researching online college degrees. In her spare time, she enjoys square-foot gardening, swimming, and avoiding her laptop. Health officials are recommending that everyone get a flu shot except those under 6 months and those with egg allergies. Last year’s H1N1 killed 13,000 and made 60M sick in the US. This year’s vaccine protects against the 2009 swine flu (H1N1) and two other flu strains that are out there this year. 60% of Americans are viewed as susceptible to H1N1 (still). There are 165M doses slated for use in the US. At least 10% of the US is estimated to have trypanophobia (fear of needles). CVS has launched a large promotion of a free flu shot program. Walgreen says it administered 7.5 million H1N1 and seasonal flu shots last season, up from 1.2 million the year before. Walgreen’s figures represent about half of all the retailer-administered flu shots, says Mr. Miller, the analyst. He estimates retail pharmacies could administer 20 million to 30 million flu shots this season. Rite Aid, which doled out 250,000 shots last year, said it has ordered a million doses for this year. The logical question would be why would the pharmacies care. Money. Flu shots are a profitable business and as long as you can administer them without disruption to your workforce…then your variable costs are limited. But, that also makes me wonder why everyone is taking a general marketing approach. There is lots of marketing, but very little targeted marketing that I’ve seen around flu shots (from the retail community). On the flipside, managed care companies have a totally different reason to drive flu shots – it’s a HEDIS measure. [And, BTW…HEDIS is a big part of the STAR Ratings that CMS is using to pay incentives to Medicare plans.] They want to limit sickness, hospitalizations, and other medical costs. This is one where everyone is aligned so that employers also want to drive flu shots to avoid absenteeism from sick employees. This article puts the value of a flu shot to the employer at $46.50. Since flu shots cost less than $30, why wouldn’t employers just give everyone a free flu shot. They’re getting a 50% return on their investment. A more interesting debate is whether to mandate flu shots in certain cases. The biggest one which is debated is healthcare workers (although I would also lump in teachers and day care staff). The last thing you want is someone who is already at risk and sick to be exposed to the flu when they go to receive care. So, I guess my net-net here is that flu shots are going to be pushed this year. I would think pharmacies and employers and pharmacies and MCOs would pair up to drive shots to specific locations. I think the general marketing and news will increase awareness, but the question is how to you reach the at risk population and drive them to your location and get them to get the shot early before they get exposed. I don’t think a build it and they will come strategy will “win” here. Why Isn’t Medical Marijuana Sold In Pharmacies? I’ve wondered about this for a while as marijuana (cannabis) has become decriminalized in several states (see history). It’s a drug, and it requires a prescription. Isn’t that what pharmacies are for? Maybe, I’m missing something here, but why create a new set of organizations (dispensaries). There is obviously a business model here and given the challenges for growth in the retail pharmacy industry this would seem like something (from a purely economic view) that they would want to capture. On the flipside, what this implies to me is that the establishment doesn’t yet buy-in to the legalization strategy. They still see this as a criminal activity and don’t want to (a) create a business risk or (b) damage their brand. 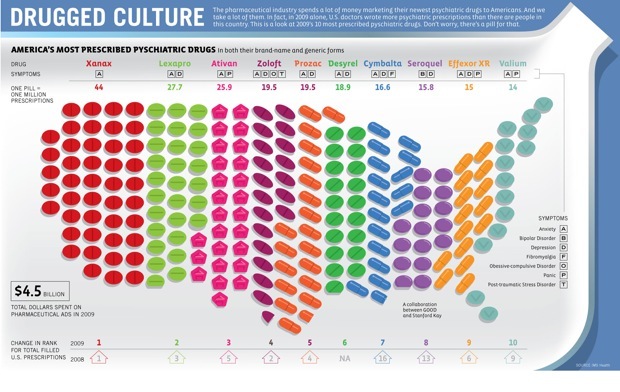 I found this on the DrugChannels.net blog. 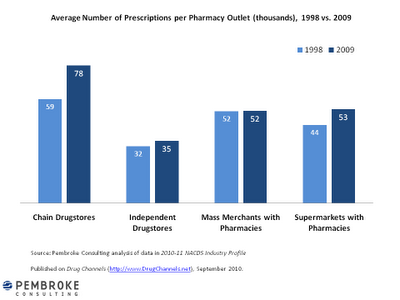 A good visual of the data showing how “productivity” has improved per location by different types of pharmacies. What I think is interesting is that mass merchants have stayed flat. With Target’s original couponing strategy and Wal-Mart’s $4 generics, you would have assumed those had an impact that would show up here. I’m guessing the lift at independents could be explained away with increased utilization so the same number of patients go to the stores with just more scripts. I’m not sure I have the time (or if the data is even available), but it would be interesting to look at patients per location and Rxs per pharmacist (and per pharmacy tech) by type of pharmacy. I remember a few years ago when I got my first text. It was from the CTO at Accenture, and I had a phone that didn’t have SMS. I had to click thru a link to a website to see the text. I was totally flustered. How was I supposed to respond? Well…I’m past that now. My brother and I send happy birthday via text. I find it easier to send a quick text when in a loud spot like the airport than to try and call. I’m sure my volume is still low. My friend said their kid did 15,000 in one month (which seems impossible). Another friend told me that their kids can text without looking. They sneak a quick peak and then respond without even pulling it out of their pocket (when their supposed to be off the phone). 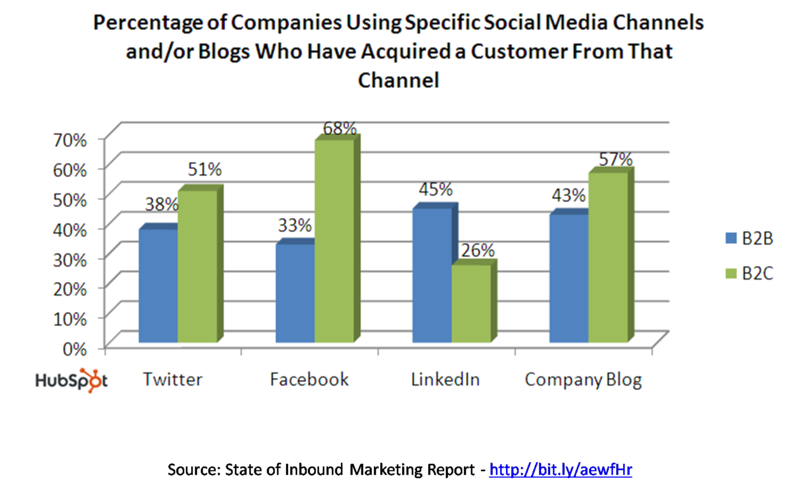 We all know this is an emerging communication channel that will continue to evolve. And, smart phone use and adoption is expanding rapidly. So, here’s the infographic. 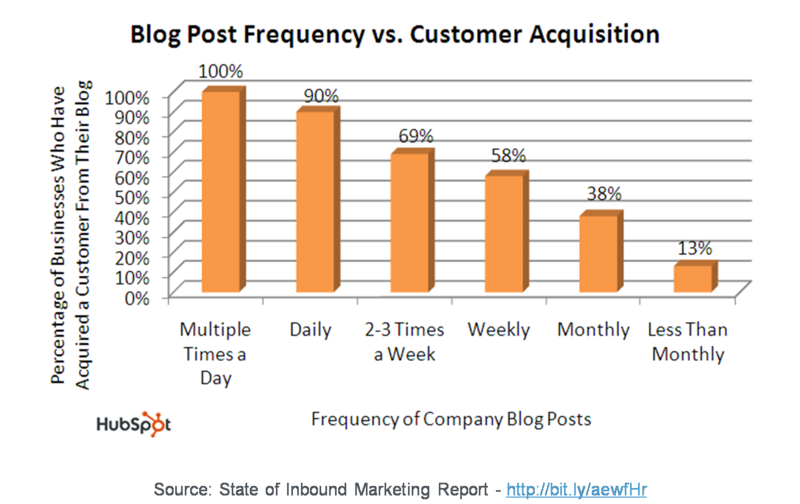 In another area of their site, they have some interesting data on how blogging and social media drives leads. Here are three of them that I found interesting. This caught my attention (although I wish it were a PSA not an advertisement for a gym) because I think it is the right concept. The Coalition For Angry Kids (COAK) is a website by Anytime Fitness playing upon the Childhood Obesity issue. We heard that September is National Childhood Obesity Awareness Month, and people are saying that 1 in 3 of us are overweight or obese. Well, Mom and Dad, can you help us out here? We need more than reminders and threats. We need good examples. If you want us to play an hour a day, then come out and play with us. They have some good facts on obesity here. Obama should spend money on some good PSAs (Public Service Announcements) about health. Like the ones that have been used to address littering, smoking, wearing your seat belts, and using drugs. I just finished reading the book – Social Media Marketing: Strategies for Engaging in Facebook, Twitter, & Other Social Media by Liana “Li” Evans. It’s a good book especially for those who are new to the social media space. It’s an easy read with good examples. If you’ve been assigned the job of developing a social media strategy or are getting proposals from people in the space, you should read the book. Her 3rd chapter provides a good starting point of different metrics to think about. She mentions Groundswell by Charlene Li and Josh Bernoff multiple times. She gives an example about how Royal Caribbean managed an online situation. If you’re giving away something, make sure it’s unique and special. Don’t just give the members of a community something they could get at any other place. She talks about blogs as a “double-edged sword” where they can do whatever they want. I find it an interesting perspective since her PR company reached out to me and sent me the book to review. Did they do their background to see my prior book reviews? Did they know their pitch would appeal to me and they wouldn’t end up on the Bad Pitch Blog? She reinforces a key point several times which is that all your employees need to realize how their actions online affect the social media strategy that your company has. Several times she reinforces the point that you can’t control the discussion. I wonder what it would be like if plans and PBMs were to share proposed plan designs with consumers via social media and engage them in dialogue. Would it change what was used? She suggests Mike Grehan site – www.searchenginewatch.com – for information on search engines. So, there is lots more in the book. I’d suggest you check it out. 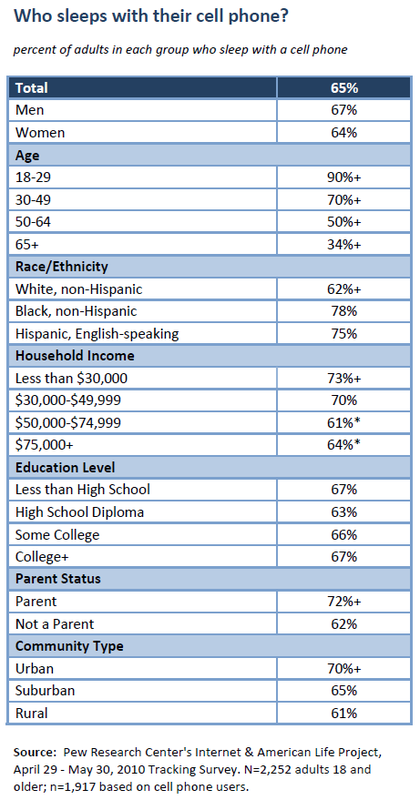 There is lots of good data in the new Pew report on “Cell Phones And American Adults“. It shows that people who text a lot also talk on the phone a lot. It shows how adults use text messaging compared to teens. The one that stuck out at me was that 65% of people had slept with their phone. Why do people do this? I do it if I’m using the phone as an alarm at a hotel, but otherwise, I don’t want the phone beeping at me at night with e-mails (legitimate or spam). When Should You Ask About Auto-Refill? Auto-refill for prescriptions is all the focus lately. Everyone from the big PBMs to the local pharmacies are encouraging this. It helps with adherence (or at least with adherence calculations since you can’t force someone to take the pills just because they have them). 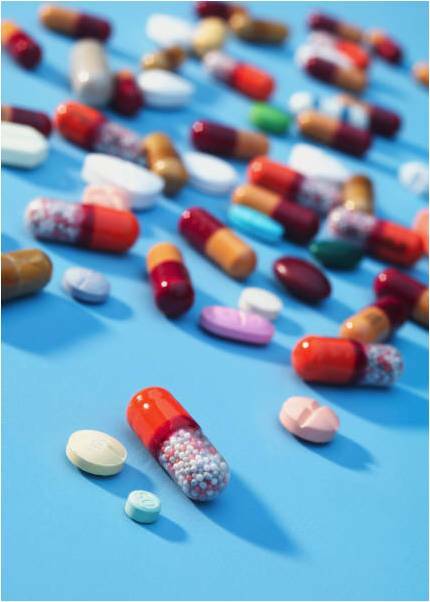 It addresses one of the common patient reported issues with adherence which was that they forgot. They ran out of pills or didn’t know to refill the medication. In some cases, a few days of pills may not be a big issue, but in other categories, this could be a problem. In general, professionals consider taking medication 80% of the time (or 80% medication possession ratio) to be adherent. So, what is auto-refill? You sign up to have your medication refilled when it’s time for a new bottle and then mailed to you or ready for you at your retail pharmacy. One question is whether this includes auto-renewal. To most consumers, renewal means nothing, but it does in the pharmacy business. When you get a script, it is only good for 12-months. That could be twelve 30-day fills or four 90-day fills. When you’re done, you need a new prescription from your physician. That is called a “renewal”. To most consumers, we just think of it as we ran out of refills. So the critical question here is whether you include renewals in the auto-refill process. I certainly advocate for yes. If I run out of medication and expect my prescription to be refilled (because I signed up for auto-refill), I would want my pharmacy to reach out to my prescriber proactively. Or, even if I’m just planning on refilling, I’d like my pharmacy to let me know in advance that I need a renewal or new Rx since I don’t have any refills remaining. That can delay the process so without doing that you can create a gap in care. That gap-in-care is one of the reasons why patients drop out of mail (which may happen to me). In my case, I waited until I was down to 5 days supply of my medication imagining that my pharmacy would call me to remind me to refill. They never did so I called to refill, but I was out of refills so a renewal is needed. Getting in touch with my prescriber could take a few days so now I’m not sure what might happen. Ideally, I would get a confirmation from them on when it’s coming, and I could go to a local pharmacy and get a 3-day “bridge supply” for a minimal fee. We shall see. According to Keller, new research by CVS Caremark seeks to address the fact that many healthcare decisions unnecessarily are complicated by the lack of clear and plain language. In addition, choices for such programs as automatic refill of prescriptions or generic alternatives can be overlooked because those options are not readily transparent to the consumer, Keller noted. For those of us in the communication space, this is interesting. How you present information…when you present information…the language you use…All of these things are important as demonstrated here. Does Playing An Instrument Increases Odds Of Being An MD? I’m skeptical. My kid wants to be a physician so she was all upset yesterday when they played a video at school saying that 52% of kids that are in band in grade school go to medical school. There’s no time for her to play multiple sports, study, and be in the band so of course we said no. I was in the band when I was a kid so it’s not an issue with the band. There are plenty of studies around music and academics. Not that I’m going to call the school out on the video, but I’d like to see the research. A quick Google search didn’t find anything on this correlation. I’d more importantly ask the question of what percentage of physicians played an instrument, at what age, and for how long. Did they play piano? Did they play the recorder? 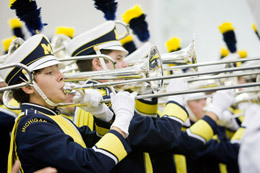 Did they play in marching band in college? Did they play in a heavy metal band? There is a difference. I hate when groups “market” themselves hard to the kids. My son was all worked up a few weeks ago when the boy scouts talked about shooting guns and bows and arrows (neither of which I intend to let him touch for a while). He thought this was a way around me by joining boy scouts. Anyways, if anyone knows about research on band (or other activities) and the correlation with being an MD (I prefer causality), please comment. Thanks.